Eggs are an excellent source of protein and perfect for a low-carb diet. Yet most people only think of eggs as a breakfast food, when in reality, they make an excellent snack or meal any time of day. Whether you use medical diet pills or another type of product for weight loss, eggs are an ideal food to incorporate into your diet. Due to their amino acid content, which is the most digestible for humans, eggs are considered one of the best sources of protein available. In addition to their high protein content, both egg whites and yolks are packed with essential nutrients that help us maintain a healthy body. They contain high levels of choline, which breaks down into bethane and helps our bodies produce hormones that elevate our moods, such as dopamine, serotonin, dopamine and norephinephrine. The yolk contains two very beneficial carotenoids, lutein and zeaxanthin, which promote healthy eyesight. Eggs are also rich in sulfur, which helps with a wide range of body functions, from how our liver performs and vitamin B absorption to the production of keratin and collagen, which promotes healthy skin, hair and nails. 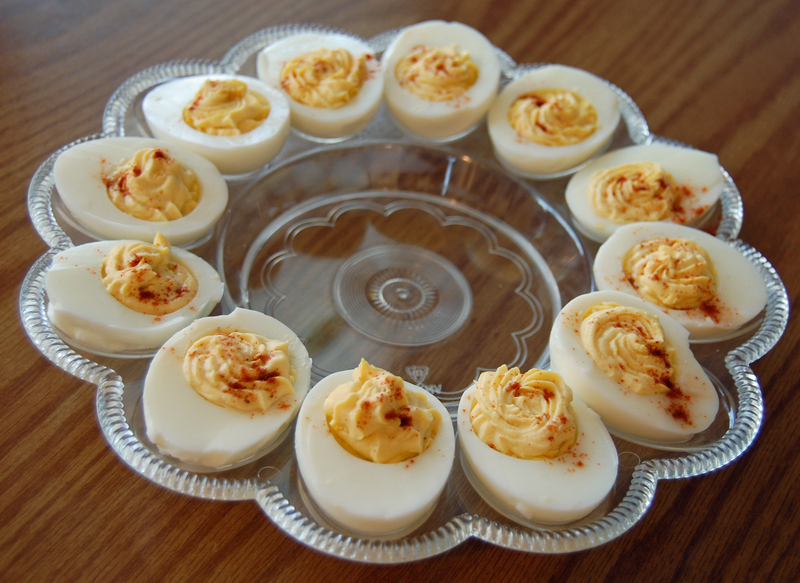 If you would like a healthy alternative for the traditional scrambles, omelettes and hard-boiled eggs we immediately think of when trying to plan a meal with these great sources of protein, try out this delicious recipe for deviled eggs. It makes for a perfect appetizer, snack or side dish for a meal, and works great at dinner parties—and won’t derail your diet efforts, whether you’re on a special weight loss plan or use medical diet pills. Slice the hardboiled eggs in half lengthwise. Scoop out yolks and set them aside. Mix the green onion, capers, vinegar, mayonnaise and Dijon mustard. Season with Himalayan sea salt and freshly ground pepper and mix well. Divide and scoop the yolk mixture evenly among the whites. Garnish with the Smoked Spanish paprika and parsley.